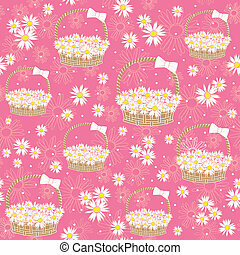 Basket with flowers seamless. 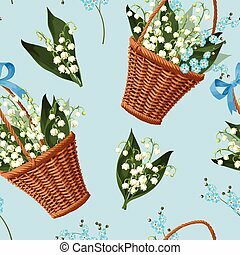 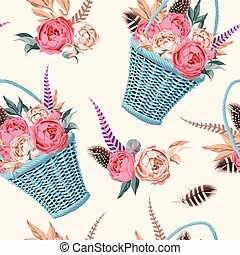 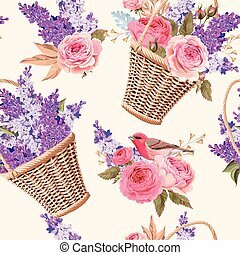 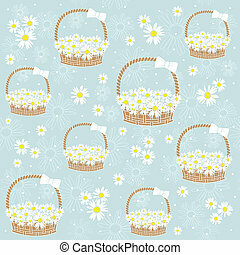 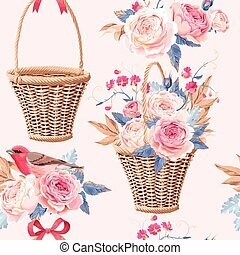 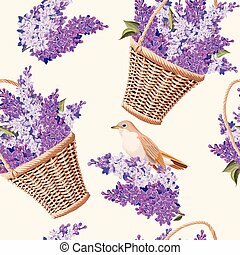 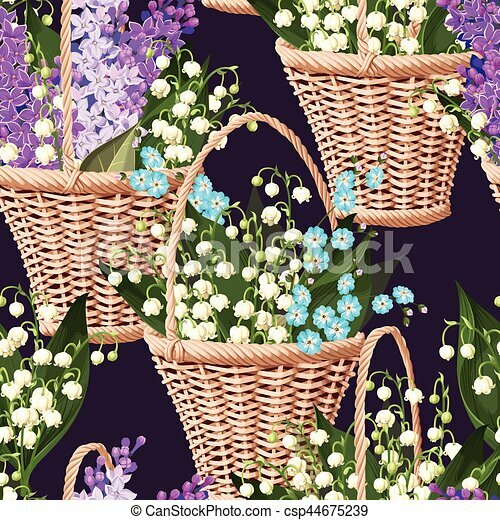 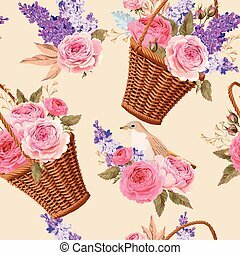 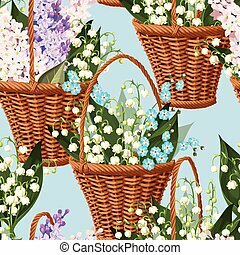 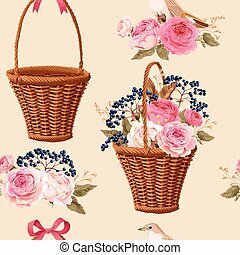 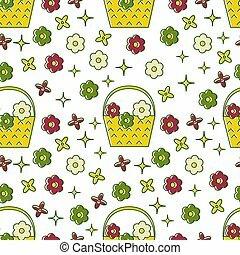 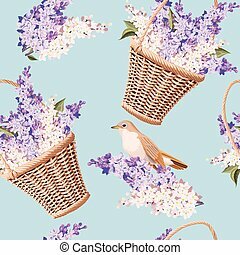 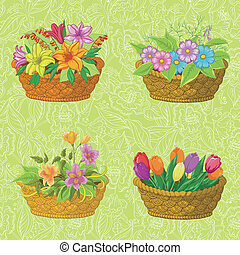 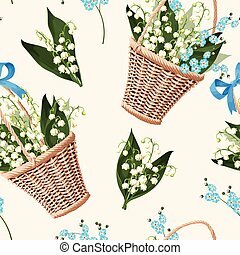 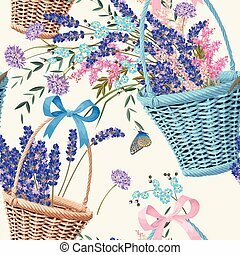 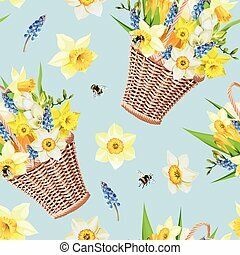 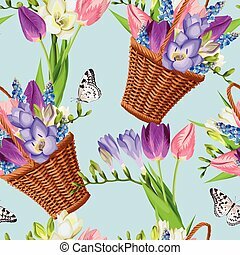 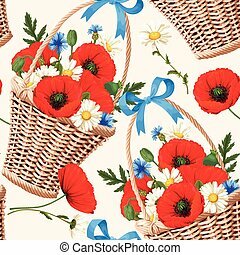 Vintage basket with spring flowers vector seamless background. 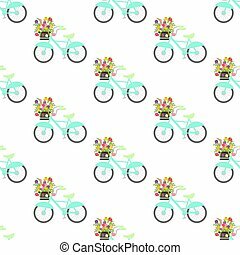 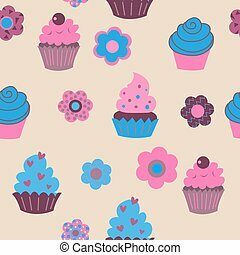 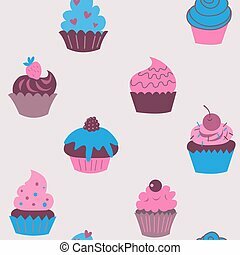 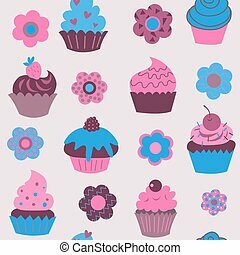 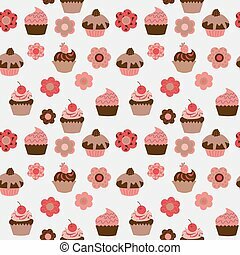 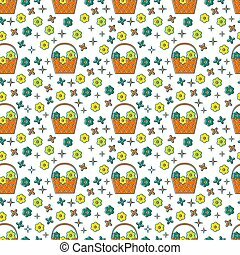 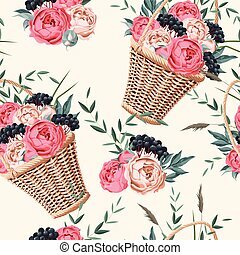 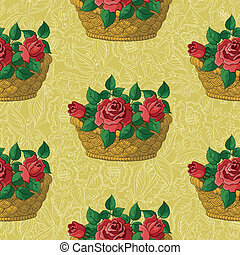 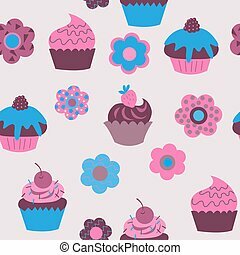 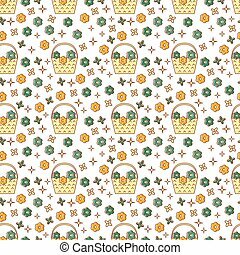 Vector seamless pattern with basket of flowers and flowers in trendi linear style isolated on white background. 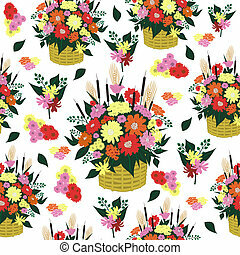 Vector floral illustration.